Guitar. 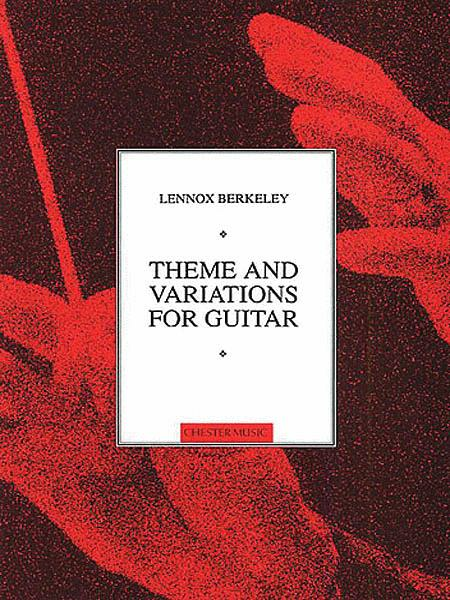 Composed by Lennox Berkeley (1903-1989). Edited by Angelo Gilardino. Music Sales America. Classical. Book Only. Composed 2002. Chester Music #MUSCH00480. Published by Chester Music (HL.14004199). Edited and Fingered by Angelo Gilardino. August 18, 2012 A Joy! I am personally enjoying working through this piece. Great exercises for odd right-hand work. Gorgeous, and unique harmonies, contemporary, and very tasteful. Working things up to speed will be a task.